- “We believe that we are on the verge of another financial crisis"
A drop in silver prices this year has attracted investors seeking a bargain, prompting a temporary sellout of the 2018 American Silver Eagle bullion coins at the U.S. Mint this month. At about $14 an ounce, silver was bound to attract more buyers. 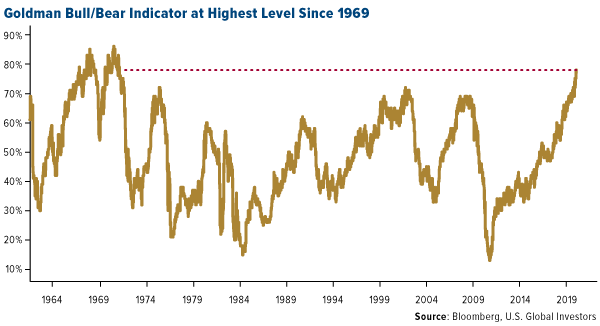 It’s “now very undervalued, relative to stocks, bonds, and, indeed, gold,” maintains Mark O’Byrne, research director at precious metals brokerage GoldCore in Dublin, which has seen the amount of the metal clients have stored grow 24% this year. “The sellout of Silver Eagles implies that demand for physical [silver] has recently been increasing,” says Chris Gaffney, president of World Markets at TIAA Bank. “With Silver Eagles being the most popular bullion coin available, this is a good indicator of physical demand,” he adds, and higher demand “makes sense,” given that prices are nearing multiyear lows again. The mint announced on Sept. 6 that it is producing additional coins to restock its depleted inventory. Edmund Moy, director of the U.S. Mint from 2006 to 2011, says the recent sellout of the 2018 coins from strong growth in demand was unusual. He adds that sellouts happened much more frequently during the financial crisis of 2007-2009 and the Great Recession, which began in late 2009. Back then, the mint had a hard time meeting surging demand, as some worried investors sought refuge in precious metals. Moy notes that sales peaked at 47 million ounces in 2015, but that this year's are still running above the 10 million-ounce annual totals seen before the financial crisis and Great Recession. He expects sales to end the year at 11 million or 12 million ounces. Overall physical demand for silver—including metal used in jewelry and other commercial items and processes, as well as coins—slid to 1.018 billion ounces in 2017 from 2016’s 1.041 billion. Nonetheless, there was still was a supply deficit of 26 million ounces last year, the fifth straight annual shortfall, according to the Silver Institute. The U.S. Mint says that increased demand was behind the Silver Eagle sellout. Moy says the “surge was likely caused by silver speculators spurred by the gold/silver ratio,” which currently stands at around 1 to 85, based on Tuesday’s settlements. That means it took about 85 ounces of silver at $14.15 to buy one ounce of gold at just over $1,202. The historical norm is 1 to 50, “which means gold is overpriced or silver is underpriced,” Moy observes. - Video: Gold Surges To Record Highs In Emerging Market Currencies – New Highs In USD, EUR, GBP In the Coming Months?